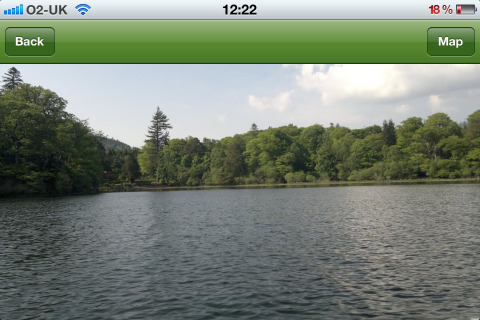 We have just released new screens in the Apple and Android editions of ViewRanger that add a social dimension to the feature set of the ViewRanger mobile app. Adventurists rely on ViewRanger to discover, create, navigate and share their outdoor explorations and for many people, one of the best parts of going out on a trip or an adventure is sharing the experience with friends afterwards. 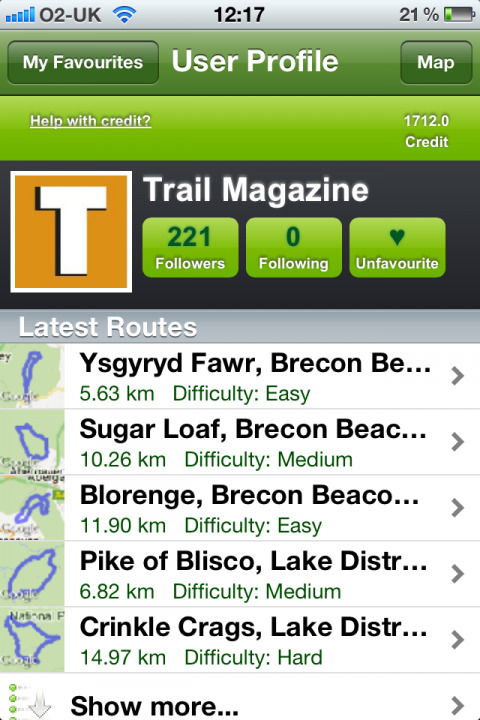 The new social connectivity in the ViewRanger app makes it easier to instantly share your routes and recorded tracks with friends, easier to find the latest trail route guides available from your favourite outdoor publishing brands, or to view the adventures and trip stories of your friends. Outdoor recreational activities are naturally social, we go mountain biking with friends or walking in a park with family. We think it makes sense for ViewRanger to build out social media capabilities – what began as a mapping, navigation and guidebook app, has evolved into an interest-based social network, an open digital content marketplace, and now an innovative platform for all outdoor participants. Adding the new social elements ultimately enables friends to connect virtually and share complete trip records including the mapped route taken and associated geotagged images which can be attached using popular tools like Twitter, Instagram and Flickr. This new interface also offers unprecedented access to partnering brands. 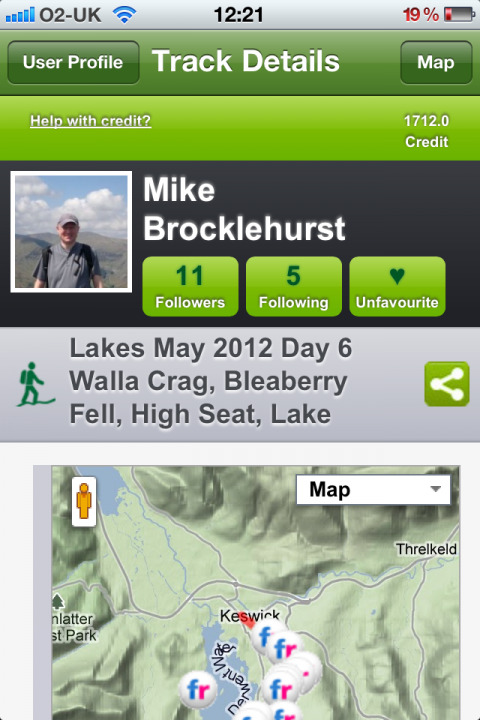 Guide book publishers and leading outdoor magazines, who make their trails content available via the app are also keen on this latest ViewRanger advancement. For them, it means that app users can also favorite and follow their brands and then easily find their latest published route content. Many leading outdoor magazines - including Trail Magazine (UK), Walking World Ireland, and Wilderness Magazine (New Zealand) - are already sharing route guide information through ViewRanger the same day the publication is shipped to subscribers. 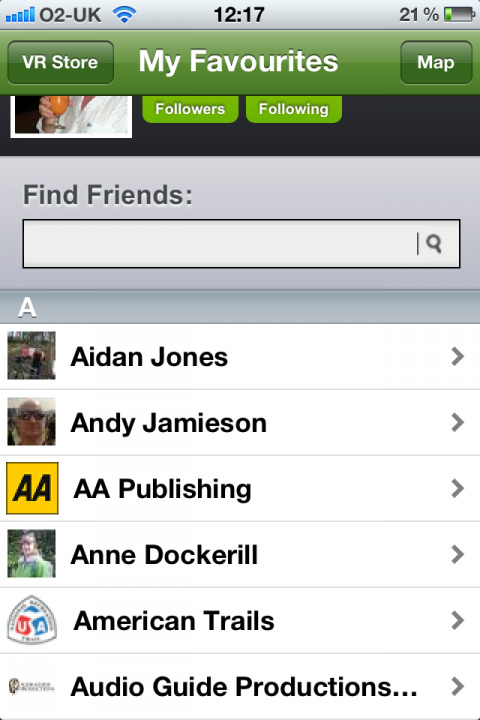 Use Organizer > ViewRanger Store > My Favourites (shown here on iPhone) to view friends and publishing brands that you have favourited, and to search for new friends and brands. 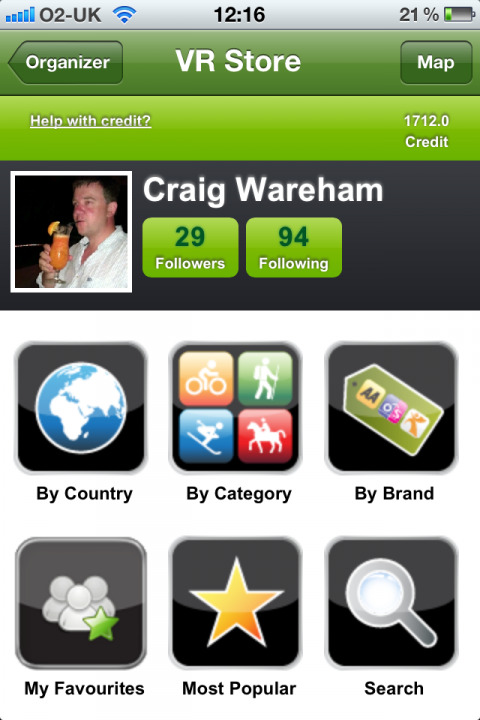 Tap on your profile image to view and edit your profile including your interests. Tap on a friend or a brand and see the most recent routes that they have published, tap on their profile image to learn more about them and their outdoor interests. 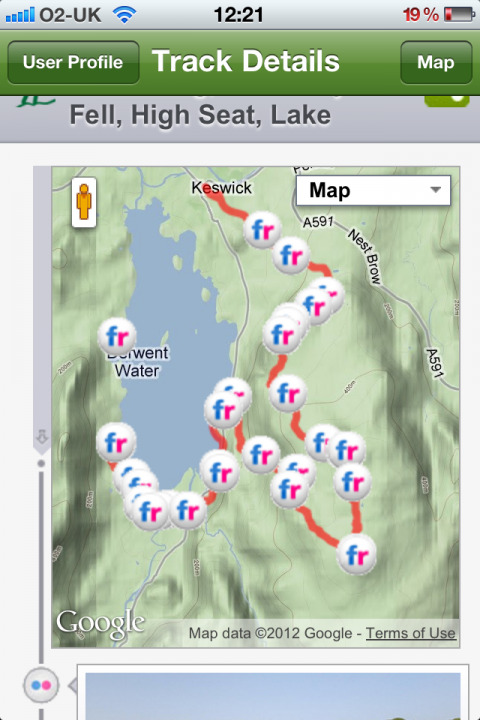 Anyone can share their favourite outdoor trails by publishing route guides using the tools available in your my.viewranger web account. 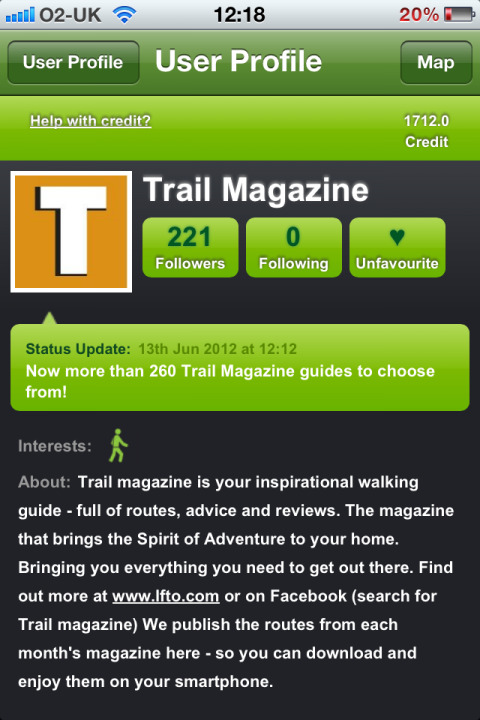 Publishers such as Trail Magazine (shown below) publish new route guides every month, as soon as their magazine hits the newstand. 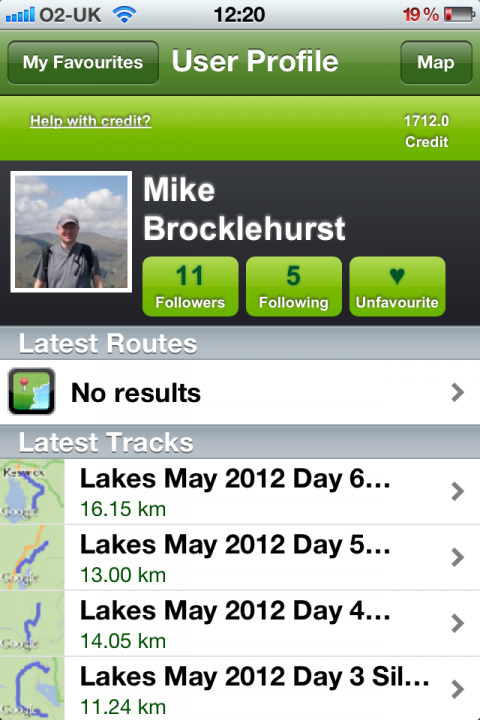 Favouriting them (just tap on the 'heart' icon) makes it quick and simple to find and download their latest routes as soon as they are published. Sharing your outdoor trip is one of the most common activities on ViewRanger. 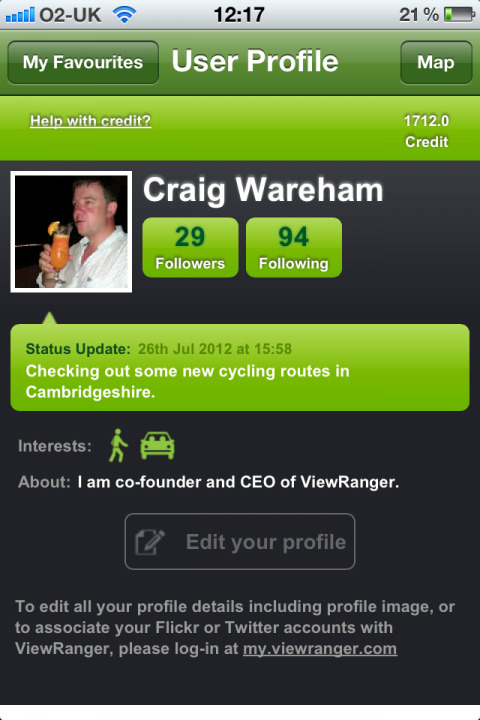 Now any trip that you share can be viewed directly within the ViewRanger app as well as through the My.ViewRanger website. 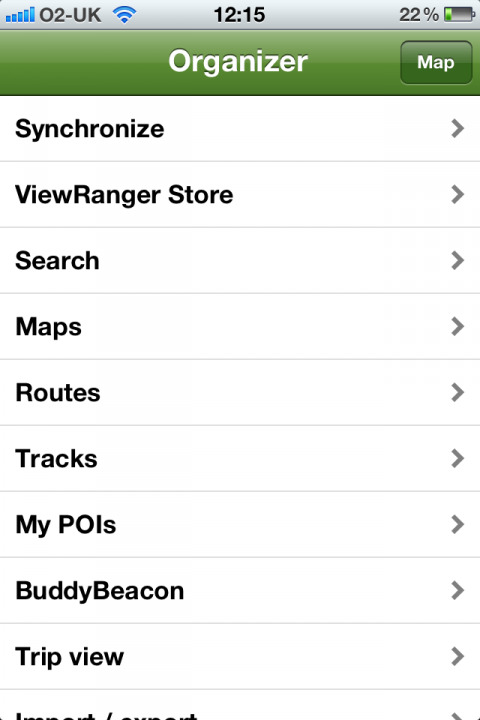 As well as a map of your recorded GPS track, ViewRanger will show any geolocated photos (Flickr, Picasa) and Tweets (including photos from Instagram, Twitpic). 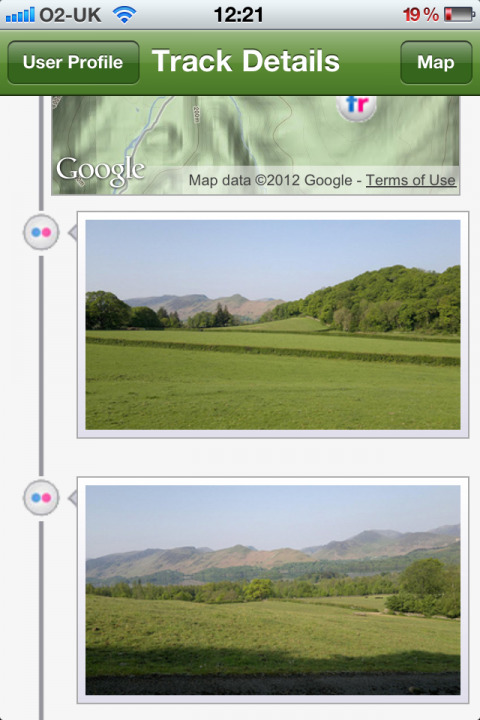 Your photos and tweets are shown as a "timeline" under the map, that can be "swiped" through. 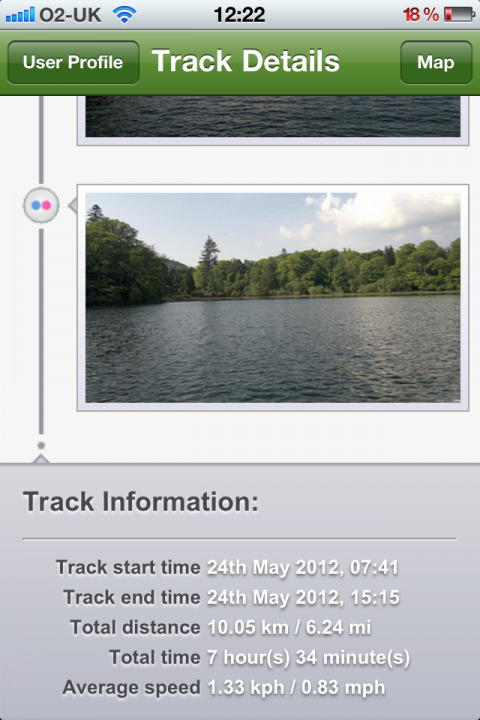 Track information, such as time and length are shown at the end of the timeline. Tap on a photo to make it fill the screen. Now your adventures can be shown off in their fullest - guaranteed to make even your best friends jealous of your latest peak bagging achievement or any other adventure. How Do I See These Screens? No app update is required. These screens will appear automatically for all Android and Apple app users who are signed in to their ViewRanger account within the app. If you don't see them, then go to Organizer > Settings > Account and sign in.